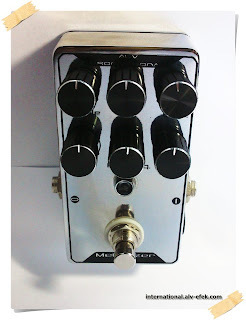 ALV Metalyzer ML-03 is an super high gain pedal. 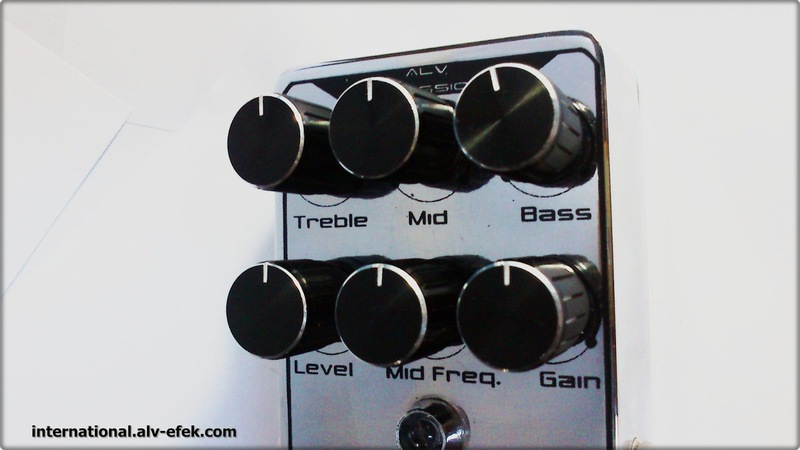 Provides super-long sustain and heavy mids and lows like a stack of overdriven amps. 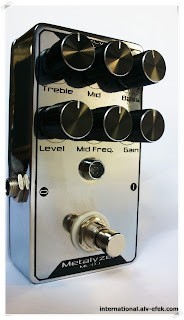 Three-band EQ, wide range of distortion textures. 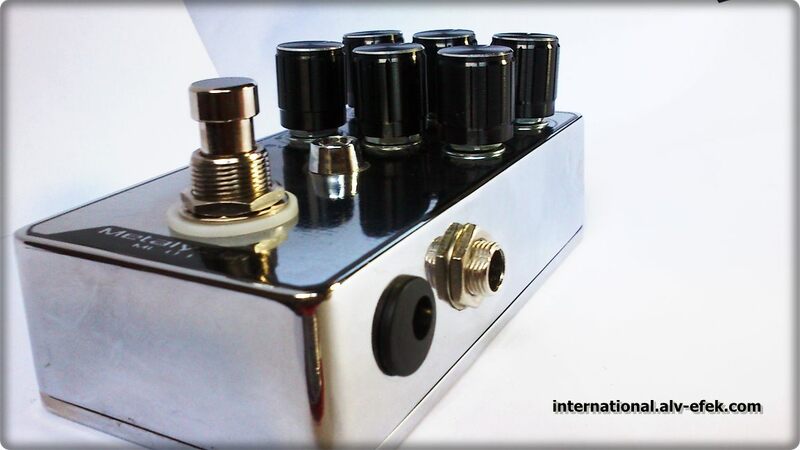 This pedal is very suitable for any genre of music with the right knob settings to suit your taste. Especially for metal music, rock, pop, dangdut (general music identical in Indonesia), etc.. Very good for Solo Lead, Distortion rithm, or in Drop D, etc. 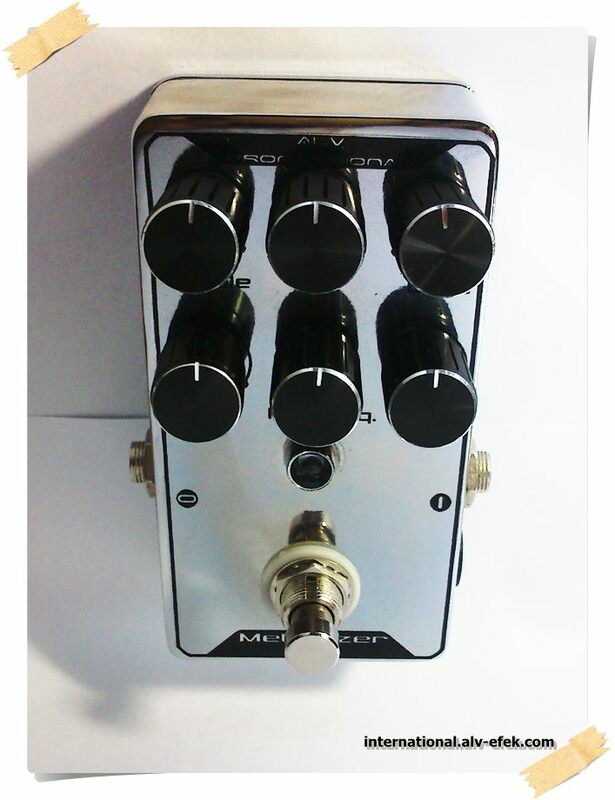 This pedal uses primary Chip JRC4558 dual opamp 4x is often referred to as low noise and high gain chip. With special features, such as using the best electronic components, true bypass footswitch (to preserve the original sound quality of the guitar), indicator LEDs are brighter, used a strong enclousure, etc. The ALV Metalyzer ML-03 was designed to provide heavy distortion via one pedal, something many pedals strive for however few can actually deliver. 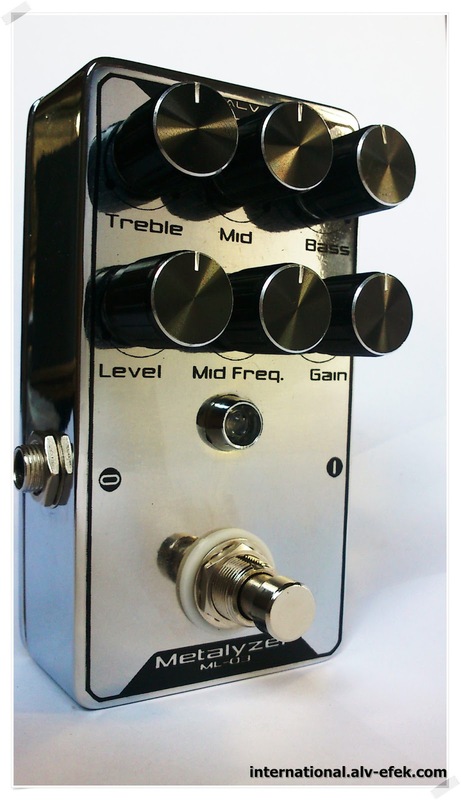 It comes with a 3 band EQ coupled with a mid frequency control and standard volume and gain controls. The manual does make it easier for begginers/professional to understand the controls and also comes with a range of generic preset examples such as Overdriven, heavy metal, until fuzz which although handy for a basic idea, it is much better to map the output of the pedal to match your particular guitar/amp.